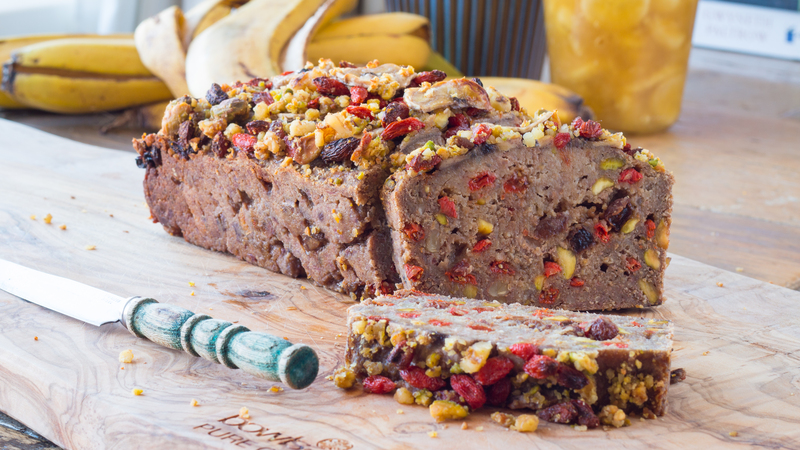 This bread is sweetened with the natural fruit sugars in banana and dates. 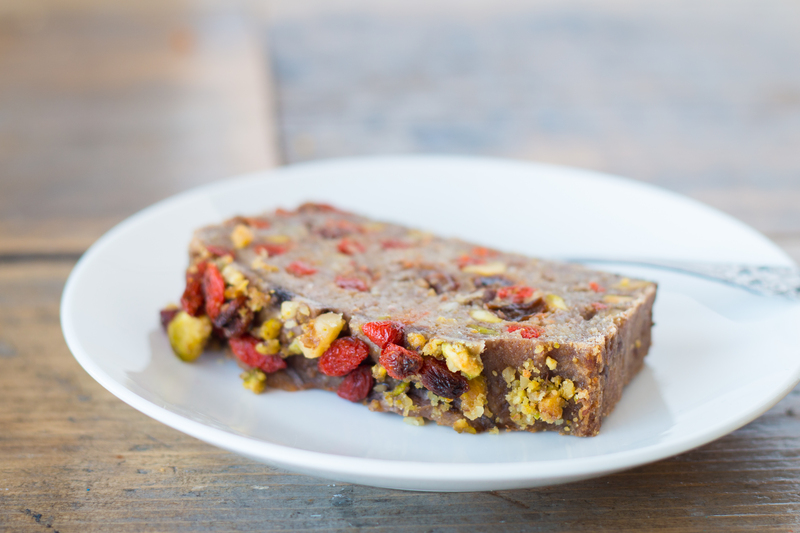 Enjoy this for breakfast, as a snack or dessert. It’s really simple to make! Follow the steps. Easy as that. 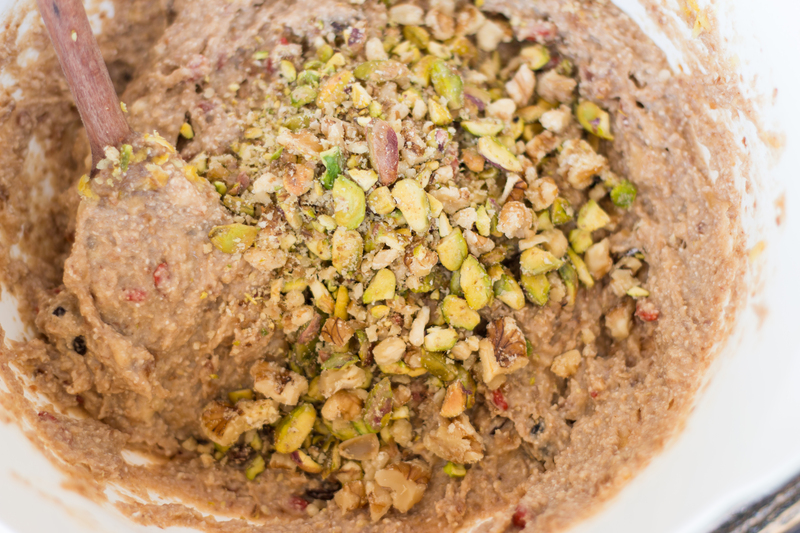 The basic recipe comes from the breakfast e-book of ‘The Green Girls’ (de groene meisjes in Dutch). Find it here. These girls are are two awesome Dutch vegan bloggers living in Amsterdam! 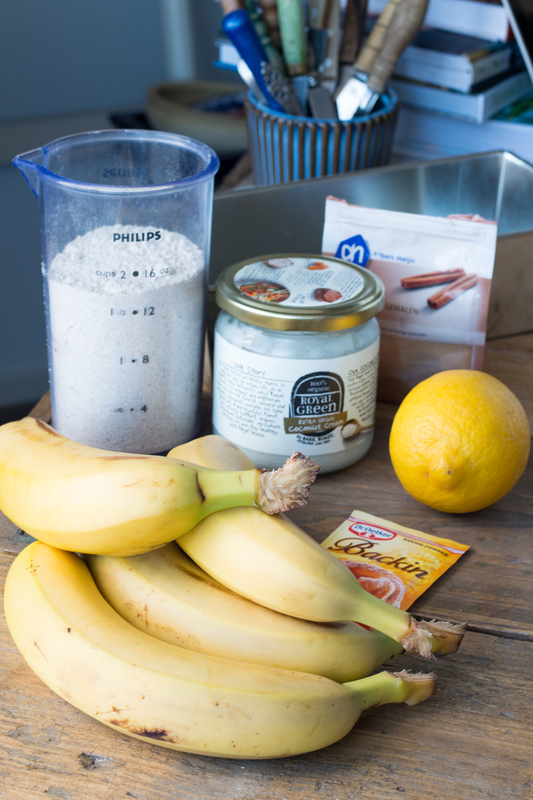 What do you need for one banana bread? 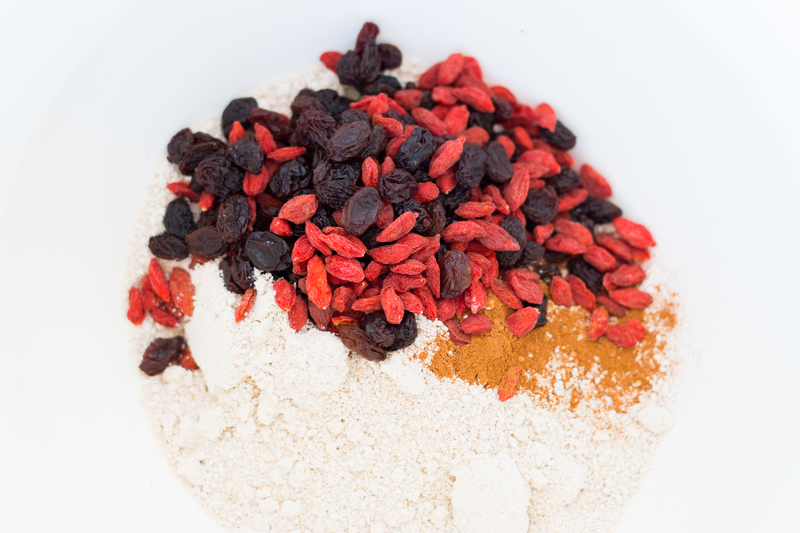 Mix the grinded oats with cinnamon, all the raisins, 1/2 cup goji berries and baking powder. 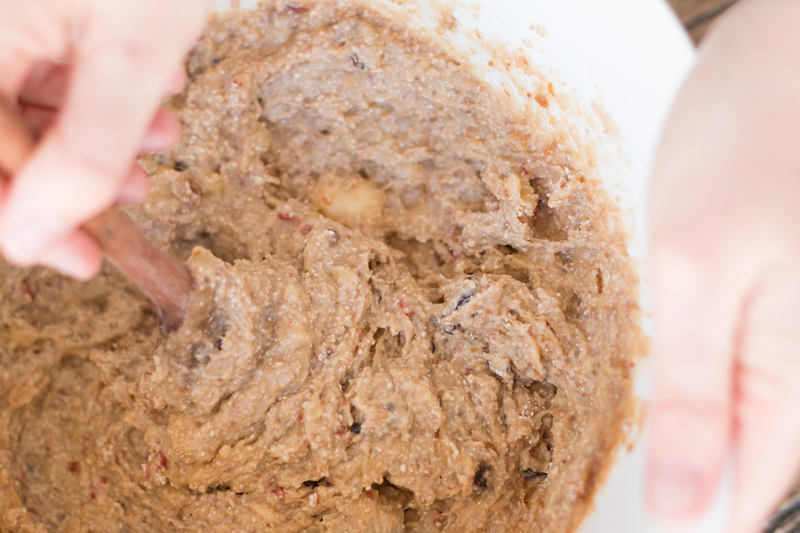 Mix the dates in your blender with the vanille extract, almonds and water – blend smooth. 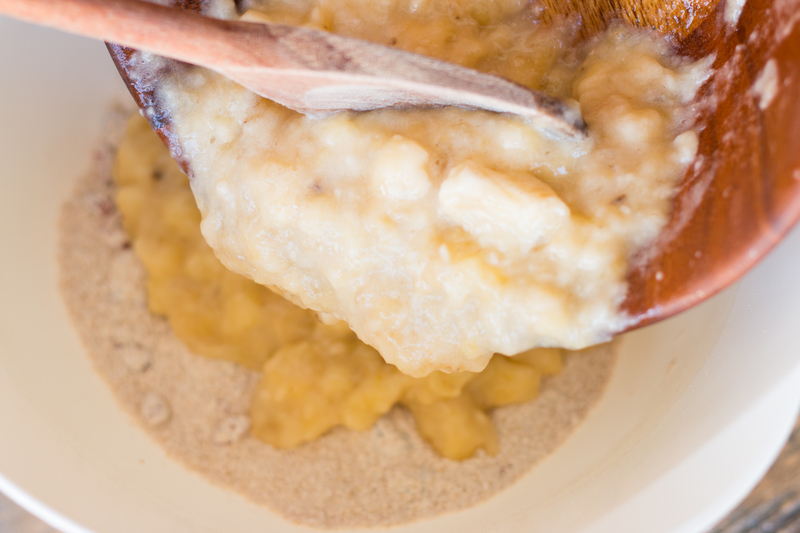 Mash – work with your hands – the 4 bananas in a bowl until smooth. 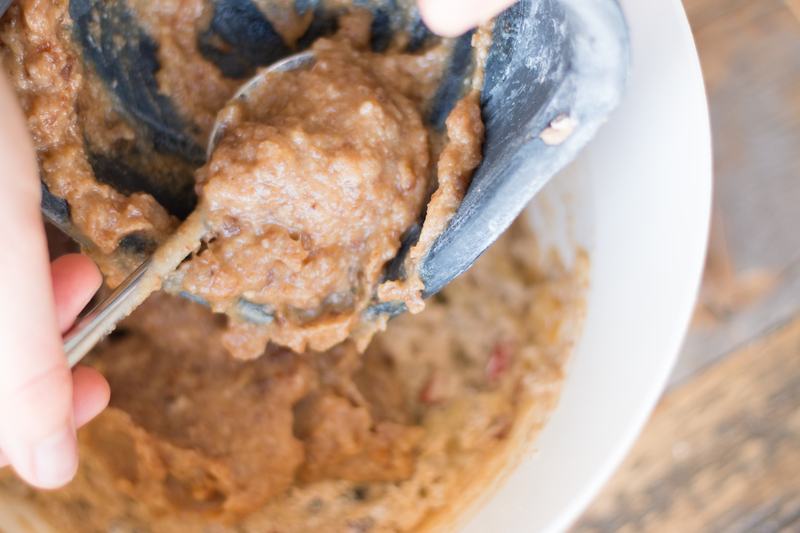 Stir these mixes together in a big bowl using a wooden spoon (oats, dates, banana). This is your ‘dough’. 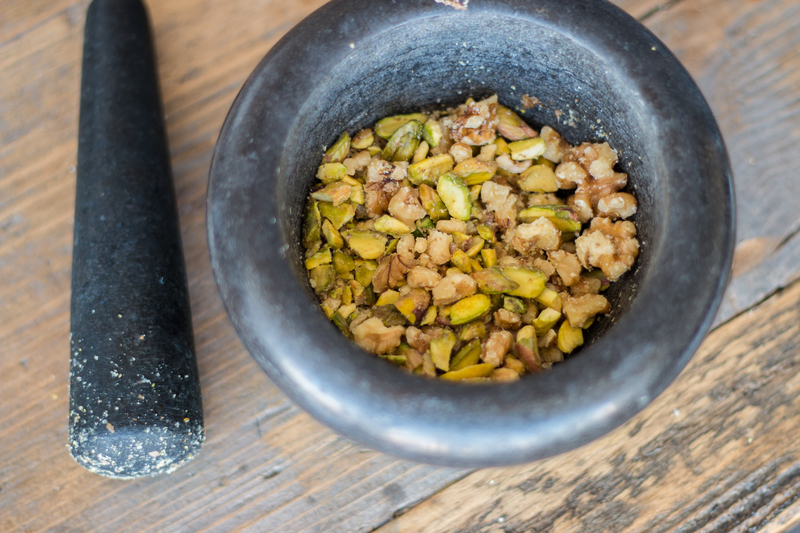 Use the mortar to grind the pistachios and walnuts. 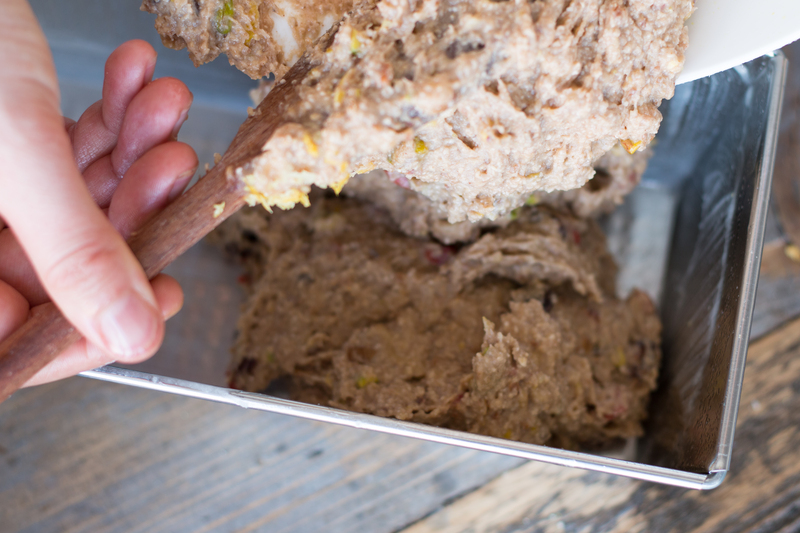 Add these nuts (but keep a little bit aside) to the mix. 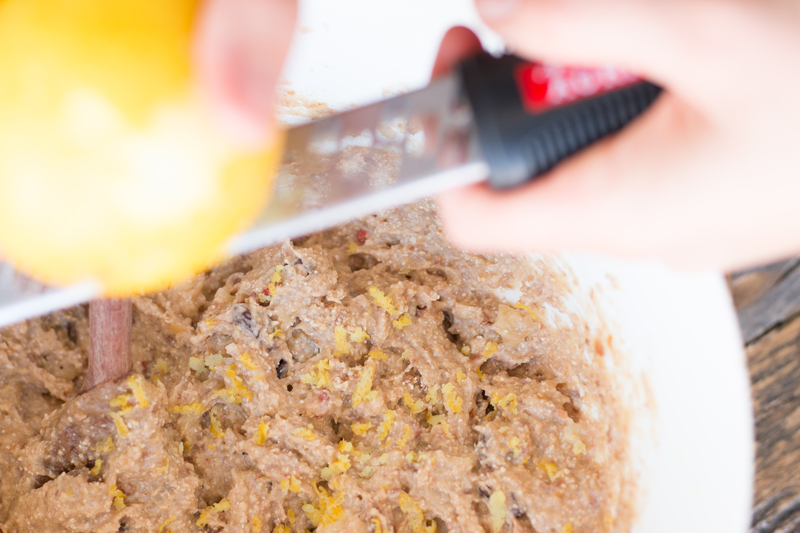 Add the zest of the 1/2 lemon to the mix. 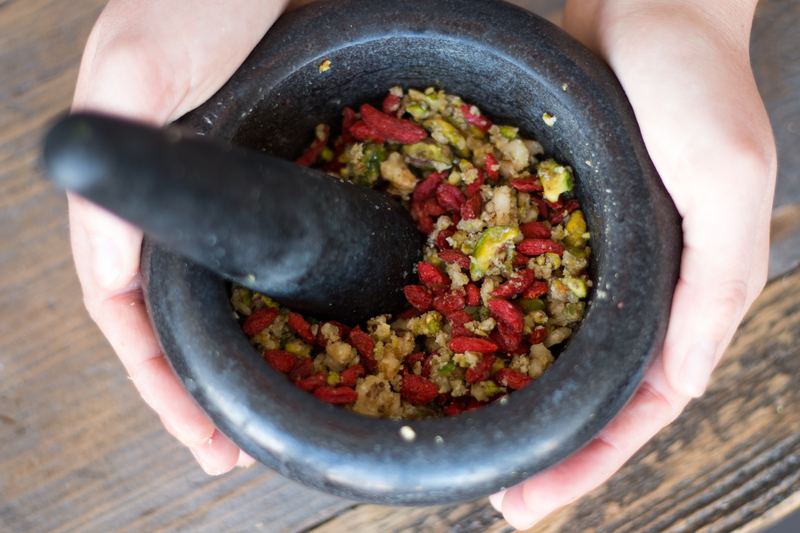 Add 1/2 cup of goji berries to your mortar and mix with the nuts. 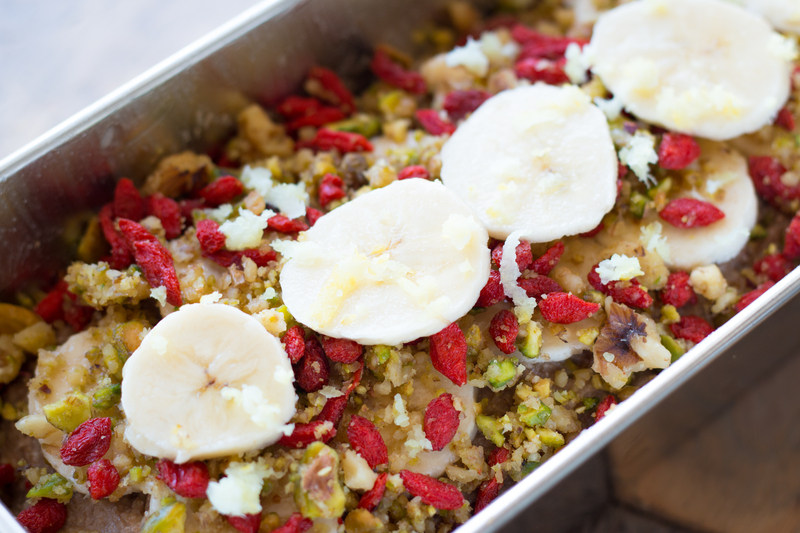 This is your topping. 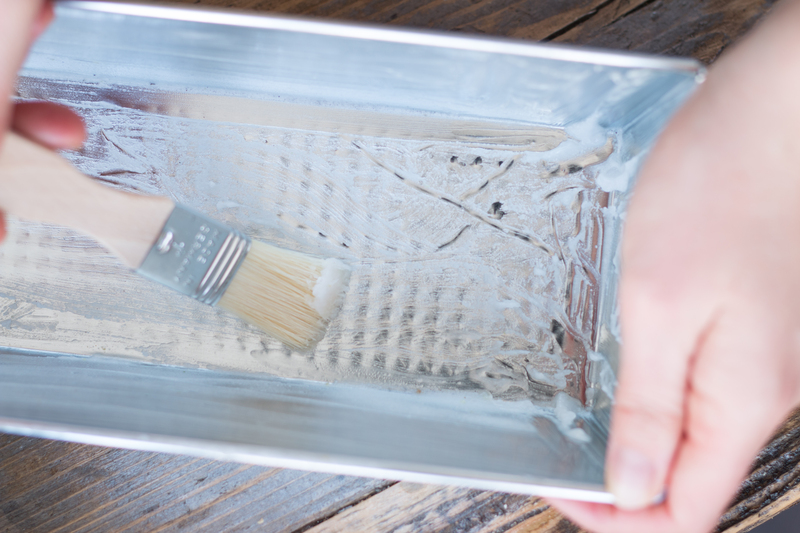 Use the coconut oil to grease the inside of your tin. 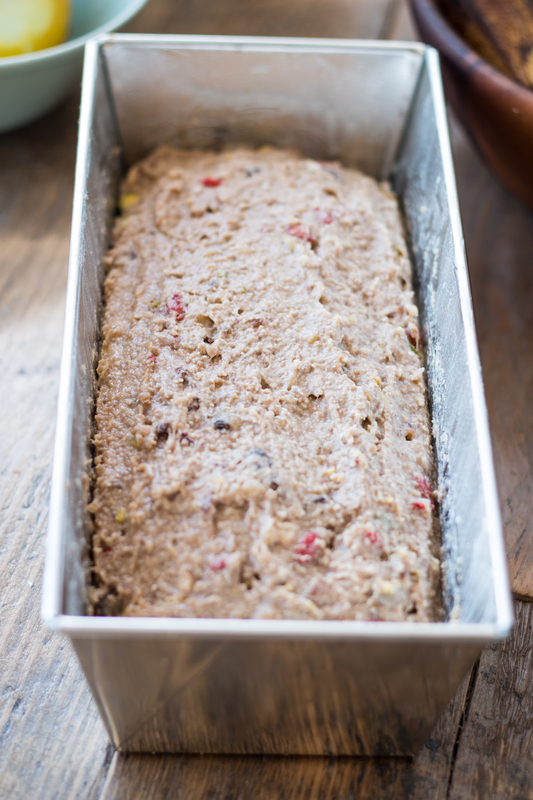 Spoon the banana bread ‘dough’ in the tin and make it look smooth. 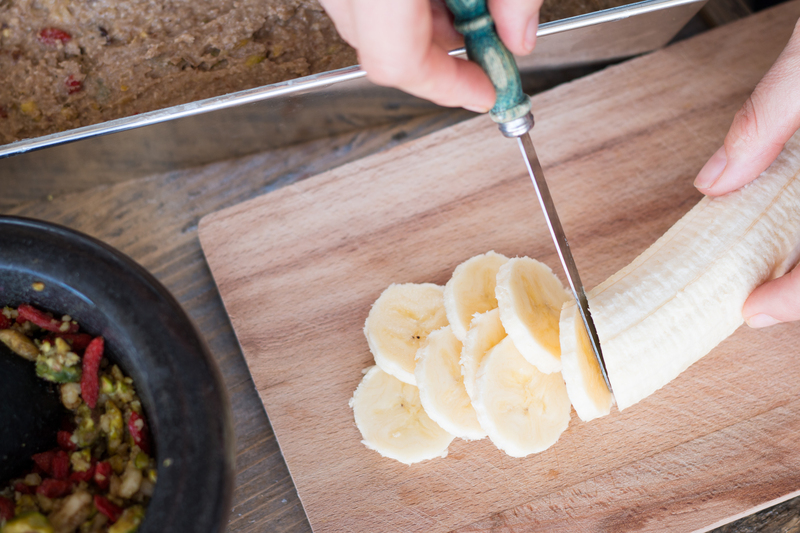 Cut the left banana into pieces and put these on top (keep a few pieces aside). 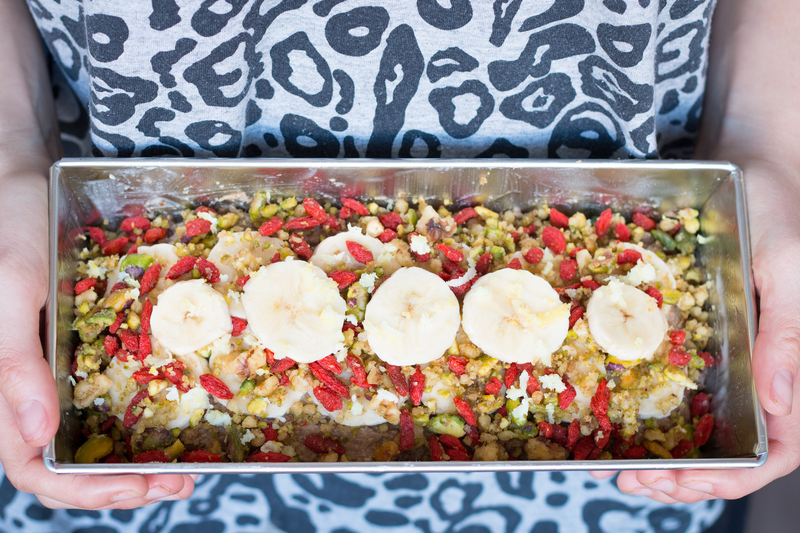 Add the nuts topping and put the left banana pieces on top. 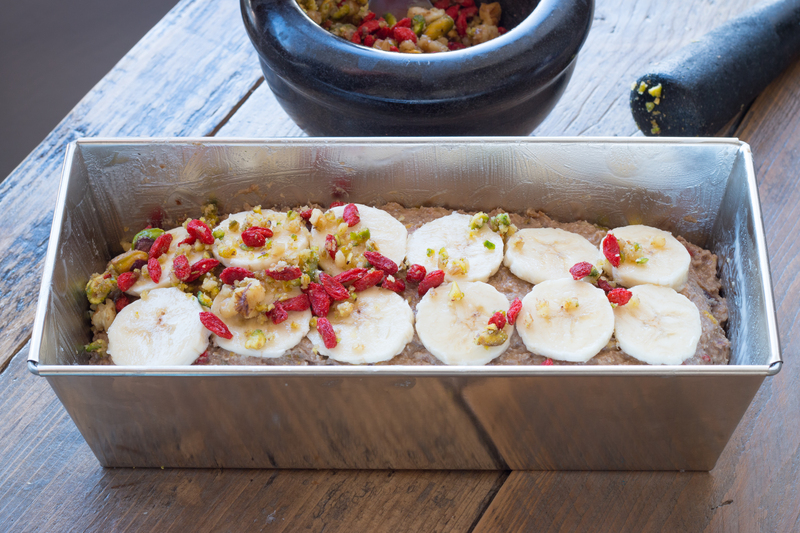 Put the banana bread in the oven for 60 minutes. 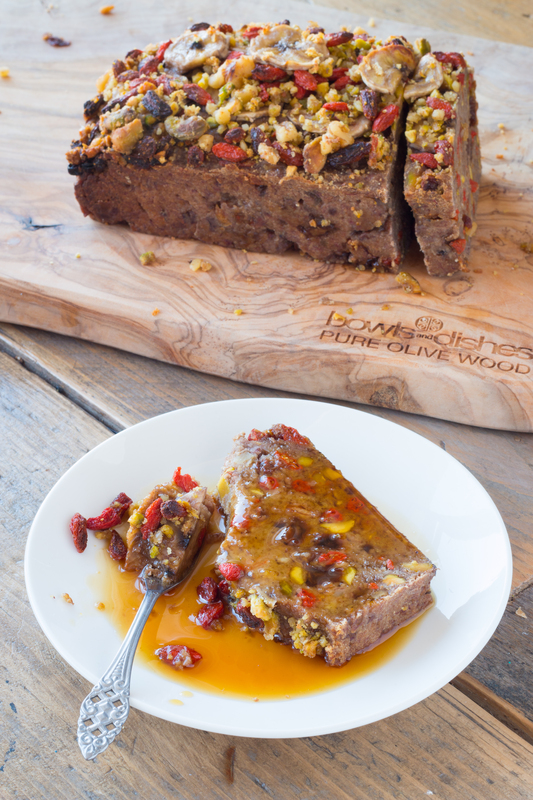 Lovely with maple syrup or home made banana jam! 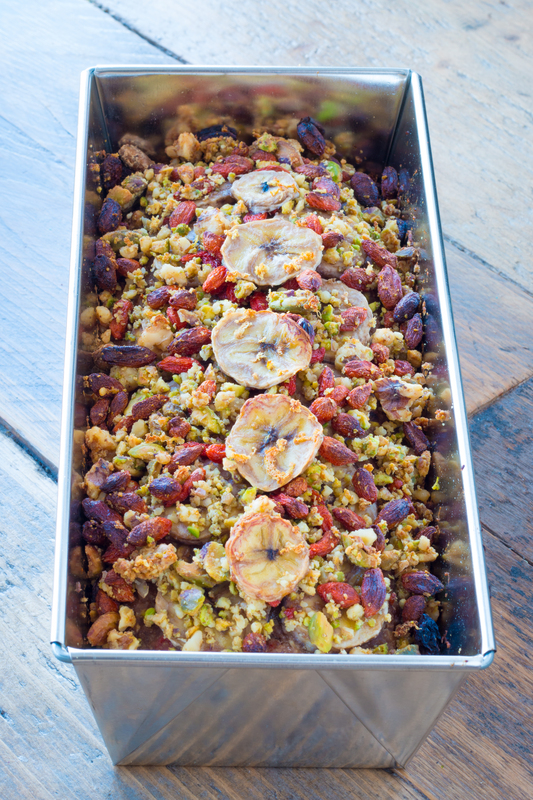 Follow me on Pinterest or Instagram for more food inspiration and recipes! you had me at hello!! can’t wait to try this master piece, happy to say that I have all the ingredients!! ps.I LOVE your pictures too! 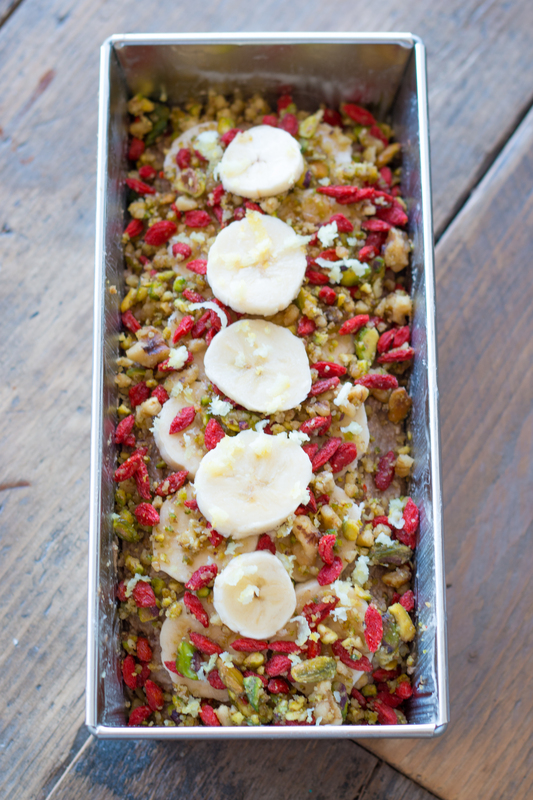 I’ve been looking for the perfect banana bread for ages. Found it! This looks sooo delicious! I definitely need to try this. 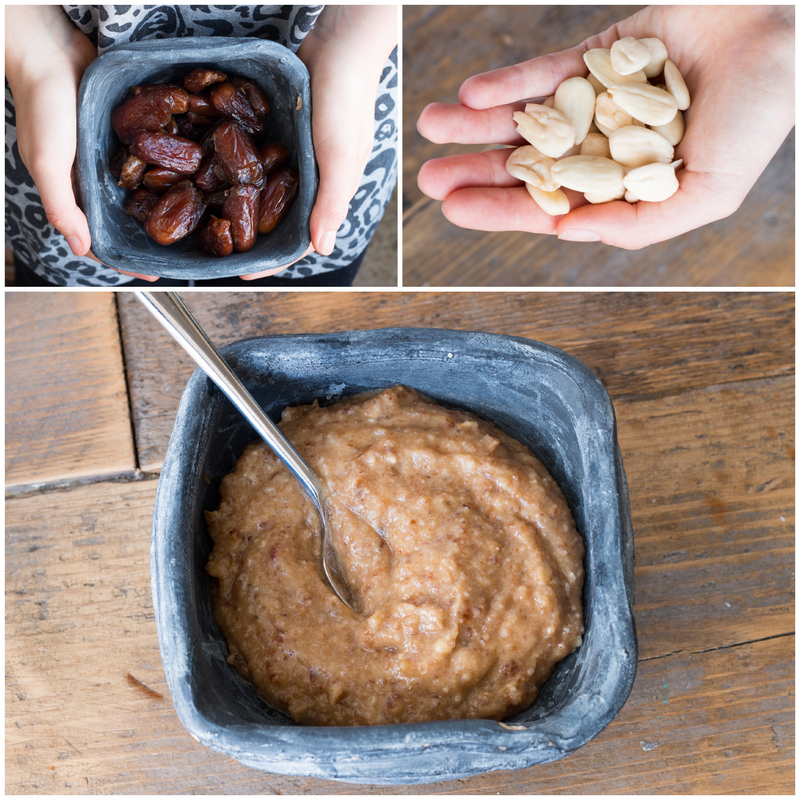 All those super foods … I just can’t resist! Thank you for sharing this! Thank you so much 😀 enjoy making it! and the way during which you assert it. You’re making it enjoyable and you still care for to keep it smart.